I'm talking about my blog... I feel so pretty - so fresh - so new!!! And you all have already been so sweet on compliments - Thank You! So I contacted the lovely lady at So Sweet Designs & it was like bada-bam, bada-boom & I have a new blog! Seriously - it was so simple... I just filled out a questionaire on what I want - colors, what I like, (Hello, knitting!) simple easy questions & then it was like a few hours, I had samples in my email!!! Then in a few days, the whole thing was complete! I'm not even joking - it was so simple & Noor was so kind with any changes I wanted... it was a dream experience! 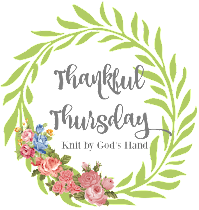 If anything - go visit So Sweet Designs to just look at her other designs - & see all the "Freebies" that are offered as well... some tips for blogger, which for the computer dorks like me, are like gold! I LOVE IT! Def. fresh and clean and great colors. Yay for you! I love it! :-) Looks great!! Wow, I love your new look! It is perfect for you. I will check her out because I am ready for a change but waiting on the finances to do it. Congrats on the new look and I will add your button to my blog sidebar, too. Adorable! Love love love the colors!! So very pretty, fresh & new! Nice job! You are like the mom I totally needed to have (not saying you're old)...so creative and fun! This new style fits your personality to a "T"! If I were to redesign my blog, I would HAVE to have a soccer ball, knitting paraphernalia, and some sort of teacher-y thing. Oh yeah, and a Bible verse and the Mirror Ball Trophy, of course! I think this is totally fantastic!!!! Congrats on the sleek new look. This is so fresh and pretty! I love it! It looks great. I'm off to check them out!